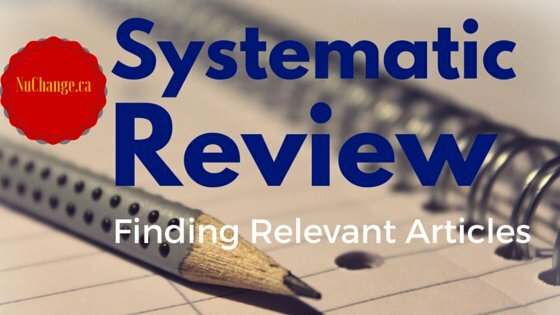 Finding the right articles for a systematic review or meta-analysis is the most challenging part. You often end up screening thousands of articles to select the few ‘right’ ones for the review. It is probably true even when you do the literature review for your thesis or essay. Cochrane Collaboration recommends searching multiple databases combining several search terms using Boolean logic for systematic review. Backward and forward citation searching to elucidate the citation network is of limited utility. Janssens et. al [ 1 ] has published a novel algorithm to expedite the process of finding eligible studies for meta-analysis based on the degree of co-citation. The algorithm consists of 2 stages. In the first stage, the articles citing one or more key articles are listed. In Stage 2 the citation list of articles obtained in stage 1 is retrieved and the degree of co-citation estimated. The authors have used a semi-manual approach based on Web of Science interface for the calculations. I have written a small shell script to implement the algorithm for PubMed using Entrez Direct. I have tested it on Linux, but I am not sure if it works on Mac. Feel free to contact me on our new IRC channel ##ehealth. Stage 2 has limitations as the data is available only from open-source articles in PubMed Central. However this may not have too much of an impact on the final results, I guess. This script may also help you to avoid missing high profile articles from the review of literature for your thesis or even an essay. 1. Get hold of a Linux box. If you don’t have one, wait for my next post! I will explain how to run Ubuntu from a thumb drive. This might work on Mac and if you are comfortable using the command line, follow the same steps. Please comment, if you tried this on Mac. 2. Install Entrez Direct by cutting and pasting the code below. Refer this article for details [ 2 ]. 3. In the terminal window. 9. Results include the degree of co-citation along with the corresponding PMID on each line. Cite this article as: Eapen BR. (November 18, 2015). Bell Eapen - Finding eligible articles for systematic review. Retrieved April 18, 2019, from https://nuchange.ca/2015/11/finding-eligible-articles-for-systematic-review.html. Pingback: Grounded Theory - Qualitative Research support tools in Python.